I remember when I first got started, I didn’t know where to read first in my books. I didn’t even read the back of my phonogram cards! I missed so much because I didn’t take it step by step. I’d like to help clear some of the fog for you by showing you what you have in your hands. I’ll be reviewing some of the great helps in your Spell to Write and Read Core Kit that you might have overlooked or which you didn’t even know you have. The first page in SWR I want to point you to is the Scope & Sequence. This page is so important it’s in the book in two places! Look on the inside front cover and on p. 12. This outlines for you the 40 steps that will be covered as you work with SWR. This single page is an outline for the rest of the SWR book. Each of those 1-40 steps is explained in detail in the “Scope & Sequence Expanded” on pp. 13-188. Many think that when they prepare to start SWR they have to read and understand the whole book. Not so! See our Getting Started Tip #6 – Know What to Read for an idea of what is a must-read for getting started at different levels. Basically, you only need to read the basics in the beginning of the book to begin teaching. When you need to prepare to teach a new concept, you’ll go to that step and read up on it. These 40 steps are listed in the order that you would move through them IF you were starting a beginning reader at Wise List A. If you’re starting a student higher in the list, you’ll progress through the first 11 steps, but then your next step will be determined by where you’re starting in the Wise List (see Step #11). See our Tip #9: Getting Started Teaching page for an example of how this plays out with your two levels of instruction. Video #4 of the “Sorting Out the Two Levels” series will explain this further. I want to direct your attention again to the two main sections of this page. Steps #1-11 fall in the “BEFORE STARTING the Wise Guide” category whereas Steps #12-40 fall in the “AFTER STARTING the Wise Guide” category. Every year…yes, every year…you’ll start at Step #1 again. That means that EVERY year you’ll repeat Steps #1-11, having your student in a new Learning Log. These foundational steps are key to starting each new school year. If you’ve worked with SWR in a previous year, then Step #4 & #11 will help guide you in assessing your student’s progress. Once you work through these first 11 steps, you’ll be ready to jump into the Wise Guide for that new year. Would you like to know when the first time a step will be introduced? See the parentheses to the right of each title on the page. For example, Step 20 tells us the Spelling Rule Cards are not introduced until List F. Are you starting at List A? Don’t worry about these cards until you get to List F.
What if you’re not starting at List A? Then you’ll follow the Wise Guide instructions which will walk you through these steps in the order that best fits where you’re working in the Wise List. Trust the Wise Guide to be your tour guide through the same steps, just in a different order. What does that tell us? That page is found in the Primary Log on p. 12 and in the Black Log on p. 15. How about the Step #22? That means this page is NOT in the Primary Log. Instead, you’ll complete that on lined paper outside the Learning Log or on a Wise Guide Enrichment Activity Worksheet. However, that’s one of those pages that IS in the Black Log. Of course, each Step is explained throughout the SWR book, and the Learning Log page numbers are also listed in the “Prepare to Teach” section at the beginning of those instructions. Ah ha! No more searching for missing pages. *Note: Older versions of the SWR book will not list “P Extra” but only the Black Log page number. We tend to think of “steps” as something we complete and then move on. Some of these steps are like that, but most are not. 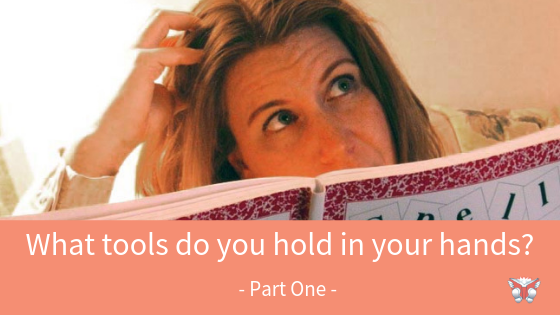 Think of these steps as tools in your language learning that you’ll be picking up and adding to your tool belt. Once you start that step, you’ll keep using that tool or at least come back to it for review as you teach. For example, Step #3 talks about reading aloud. We would not read one book aloud to our children and say, “OK, I read aloud. Check that one off.” No, we want to make reading aloud a regular habit, something you do every day or at least every day possible. Step #13 talks about reinforcing the spelling words. That’s not a one-time activity, but that’s something you want to do all year long as you move through the Wise Lists.